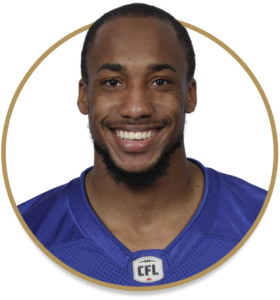 Sayles put together a fantastic first season in the CFL, en route to being named the Bombers Most Outstanding Rookie Player. Dressing for 16 games, with 15 starts, Sayles finished third on the club in total defensive plays — behind only Adam Bighill and Jovan Santos-Knox — with 72 tackles, three interceptions, five pass knockdowns, one fumble recovery, one quarterback sack and two forced fumbles. He also blocked a punt in a win over Edmonton in September. Sayles played 46 games with the West Georgia Wolves, recording 123 tackles, 12 interceptions and 24 pass breakups. In 2017, Sayles signed as an undrafted free agent with the Buffalo Bills before spending time on the Los Angeles Rams practice roster.